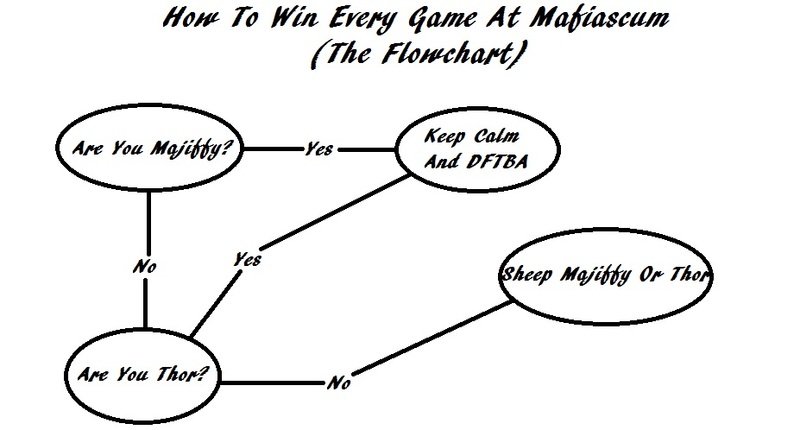 Mafia taught me that I'm much better at being convincing than I am at being right. In post 18, callforjudgement wrote: The most important life skill I learned from Mafia is how to look innocent when you actually are innocent. Lying is hard, but telling the truth convincingly can be even harder. I play scum so well I just try not to be innocent in anything I do. Assuming you have the right personality type, I would argue these things (charisma, the ability to make others see things your way) become internalized the more mafia you play. Mafia has also been scientifically proven to help you be better with the ladies. This is a fact. In post 36, Enefpe no Time wrote: Assuming you have the right personality type, i would argue these things (charisma, the ability to make others see things your way) become internalized the more mafia you play. Mafia has also been scientifically proven to help you be better with the ladies. This is a fact. Not sure, I've heard "stop playing mafia and come to bed" a good number of times. But I could test this theory more if you'd like. He was only an X-shot cop and used them all in earlier night phases. Plus she looked really town in early-game. In post 43, Majiffy wrote: He was only an X-shot cop and used them all in earlier night phases. Plus she looked really town in early-game. Damn that was the metaphor I was looking for. Knew I fucked something up there. Manipulative skills are always useful. You can't lynch scum, even if you find them, unless you can get other people to sheep you. Simple find someone who loves playing mafia as much as you do. Then when you do go to bed you can have fun but not resent the time either of you play mafia.